The increases were so widespread that they lifted the nation’s suicide rate to 13 per 100,000 people, the highest since 1986. A related report states that suicide is the leading cause of violent death in the state of Arkansas. Health activists are touring the state educating citizens about the signs of suicidal depression, as well as efforts at prevention at both the government and individual level. 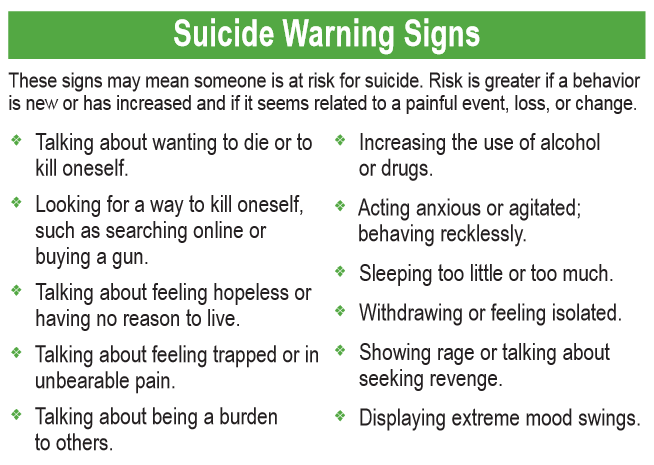 If you or someone you know is reporting ANY of the symptoms of depression or hopelessness, please know your life matters. Call 1-800-273-TALK (8755) and speak to someone about it. Several of us at Crooks and Liars know firsthand what it means to lose someone to suicide. Please call.